We are delighted to announce that the superb DCOE mesh filters are now back in production. 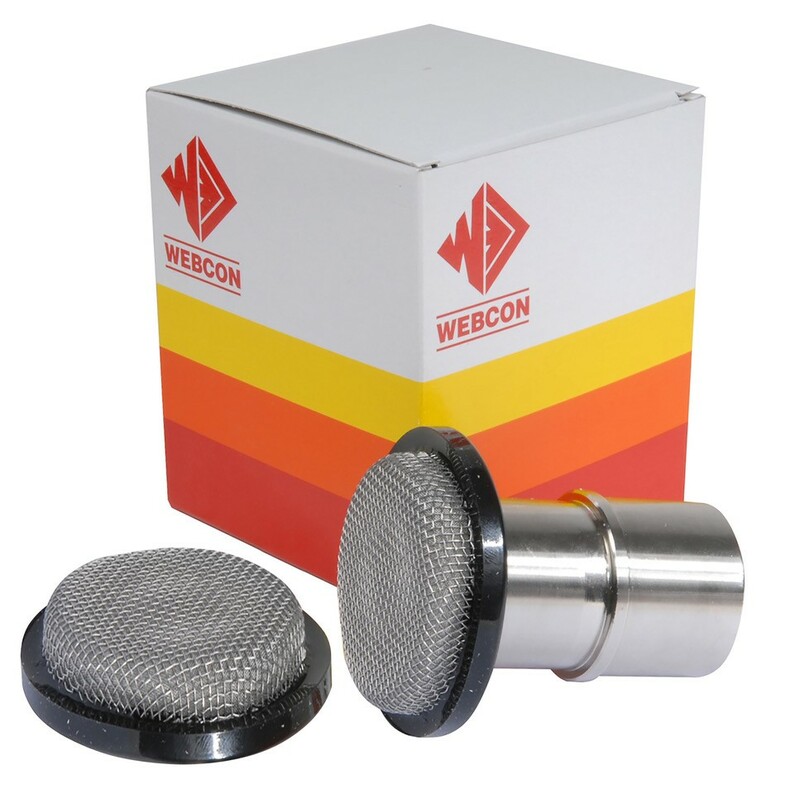 Designed to be used oil free, the Webcon mesh filters feature two layers of stainless mesh around a high performance filter layer to offer superior levers of filtration whilst offering almost no restriction to airflow. The only maintenance required is periodic cleaning, fitting takes only a matter of seconds and they add no more than 20mm from the end of the air horn, so you can be assured of the very finest filtration in the tightest of spaces. Copyright © 2010-2019 Webcon UK Ltd. All rights reserved.